Bovine respiratory syncytial virus (BRSV) is a common pathogen causing respiratory disease in cattle and a significant contributor to the bovine respiratory disease (BRD) complex. BRSV is widely distributed around the world, causing severe economic losses. This study we established a new molecular detection method of BRSV pathogen NanoPCR attributed to the combination of nano-particles in traditional PCR (Polymerase chain reaction) technology. In this study, the BRSV NanoPCR assay was developed, and its specificity and sensitivity were investigated. 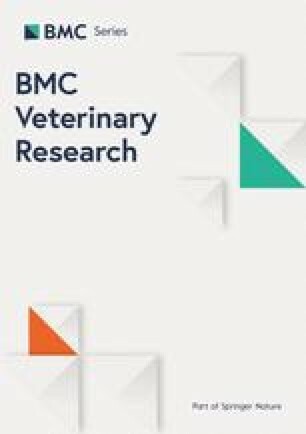 The results showed that no cross-reactivity was observed for the NanoPCR assay for related viruses, including the infectious bovine rhinotracheitis virus (IBRV), bovine viral diarrhea virus (BVDV), and bovine parainfluenza virus type 3 (BPIV3), and the assay was more sensitive than the conventional PCR assay, with a detection limit of 1.43 × 102 copies recombinant plasmids per reaction, compared with 1.43 × 103 copies for conventional PCR analysis. Moreover, thirty-nine clinical bovine samples collected from two provinces in North-Eastern China, 46.15% were determined BRSV positive by our NanoPCR assay, compared with 23.07% for conventional PCR. This is the first report to demonstrate the application of a NanoPCR assay for the detection of BRSV. The sensitive and specific NanoPCR assay developed in this study can be applied widely in clinical diagnosis and field surveillance of BRSV infection. Zhankui Liu and Jianyou Li are co-first authors. Bovine respiratory syncytial virus (BRSV)  is a significant cause of respiratory disease and a major contributor to the bovine respiratory disease (BRD) complex . Nanoparticle-assisted polymerase chain reaction (NanoPCR) is a recently developed technique for the rapid detection of bacterial and viral nucleic acid. In the 2–6 month-old calves, the incidence of BRSV infection is high, and the mortality rate is low, secondary bacterial infection, the mortality rate can reach more than 20% , the symptoms of re-infection is not apparent after healing the infected calves, the virus can also isolate on cattle without clinical symptoms. Temperature drop or long-distance transport and other stress conditions can also cause outbreaks . In most cases, BRSV can exist for a long time in a herd . However, the specific mechanism is not precise and needs to be studied systematically. The current diagnostic methods for BRSV are primarily enzyme-linked immunosorbent assay (ELISA) and real-time PCR (RT-PCR) [6, 7, 8]. Due to the low and unstable replication of the virus, the sensitivity of the previously-mentioned methods is insufficient and often leads to false negative results. Thus, proper diagnosis of the disease is imperative to prevent misdiagnose of the disease and treatment can be given to affected herd. There is still a lack of systematic research on BRSV even though there is a rapid development of the cattle industry in China. Therefore, it is urgent to establish a molecular detection method for BRSV that is efficient, rapid, specific and reproducible. In 2005, Li et al. reported that nanoparticles (Au nanoparticles, AuNPs) can be used as novel PCR additives to inhibit the production of nonspecific bands in the reamplification system, which can significantly improve nonspecific amplification, wide temperature range is useful, suggesting that nano-gold can produce similar single-stranded binding protein (single-stranded DNA binding protein, SSB) effect and improve the specificity of PCR. Then, Li et al. found that nano-gold can enhance the sensitivity and reaction rate of PCR. The excellent thermal conductivity of nano-gold is the basis for the optimization of nanoparticles. They believe that the role of nano-gold to improve the rapid rise/fall PCR system thermal conductivity, which facilitates the template and primer to be more efficiently matched, NanoPCR technology has also become a new type of PCR technology . Compared with traditional PCR, NanoPCR can improve the sensitivity of PCR detection. Also, NanoPCR saves time more than conventional PCR. Due to the low sensitivity and low efficiency of the existing molecular detection methods of bovine respiratory syncytial virus (BRSV), We hoping to establish a high sensitivity, simple, rapid and efficient method for detection of BRSV by using nano-gold and PCR molecular detection technology to realize the rapid diagnosis of BRSV, which is of great significance to disease control. The optimization of NanoPCR reaction was performed by using BRSV 391–2 strain. Optimized conditions included the optimal concentration of primers, optimal concentration, the diameter of gold nanoparticles, and optimal annealing temperature and time. Using optimized parameters, the NanoRCR amplified BRSV fragment was 600 bp in size. The sequence analysis also showed high similarity (100%) between the products obtained with the NanoPCR amplification of the N gene for BRSV (the objective sequences) and the reference sequence of BRSV. It was found that the band density was optimal at the 55 °C annealing temperature, which was selected for subsequent studies (Fig. 1a). Using this annealing temperature, it was found that the band density was the highest when the gold nanoparticle volume and diameter of nanoparticle were 0.7 μL (Fig. 1b), and 20 nm, 23 nm and 40 nm (Fig. 1c) respectively. In addition, when the annealing time of NanoPCR was reduced to 5 s, the experiment is still valid (Fig. 1d), but the RT-PCR is not valid. This result provides the basis for the rapid diagnosis. Based on the optimization results, an optimal 25 μL reaction volume was established, containing 2.5 μL 10 × buffer, 2 μL dNTP, 1.5 μL Mg2+, 0.5 μL Taq DNA polymerase (TAKARA), 0.7 μL gold nanoparticles, 1.0 μL of extracted DNA or standard plasmid, 0.5 μL of each of forward and reverse primer (10 μM) and ddH2O up to 25 μL. The reaction conditions were as follows: 94 °C for 5 min and 35 cycles of 94 °C for 30 s, 57 °C for 5 s, and 72 °C for 30 s, with a final extension for 5 min at 72 °C. Agarose gel electrophoresis analysis showed that no cross-reactivity was observed for related viruses by NanoPCR and conventional PCR, including infectious bovine rhinotracheitis virus (IBRV), bovine viral diarrhea virus (BVDV), and bovine parainfluenza Virus Type 3 (BPIV3) (Fig. 2). The result indicated that the NanoPCR method for the detection of BRSV is specific. The sensitivity of BRSV NanoPCR reaction was determined. The detection limit of BRSV NanoPCR assay (1.43 × 102 copies/μL, Fig. 3b) was 10-fold more sensitive than conventional assay (1.43 × 103 copies/μL, Fig. 3a). BRSV NanoPCR and conventional PCR were used in clinical samples. Eight (20.5%) of the thirty-nine samples tested by NanoPCR and conventional PCR were positive, and twenty-four (61.5%) were negative by NanoPCR and conventional PCR. Seven samples (17.9%) positive for NanoPCR were negative by conventional PCR, whereas no samples negative for NanoPCR were found to be positive by conventional PCR. Twelve of the fifteen samples tested positive for NanoPCR came from nasal swabs, while six of the eight positive results detected by conventional PCR came from nasal swabs. All the other positive samples came from feces. The NanoPCR random products of five positive sample were subjected subsequently to automated sequencing reactions. The sequence analysis showed high similarity (100%) between the products obtained with the NanoPCR amplification and the reference sequence of BRSV. Clinical samples detection by BRSV NanoPCR were shown in Fig. 4. In 1970, Paccaud et al  first identified BRSV in Europe. In 1974, it was again identified in the United States [12, 13]. It is still an important factor in BRD. The virus is transmitted through nasal secretions and may survive due to the heterogeneity of its genome and the low fidelity of replication. IHC (Immunohistochemistry) and RT-PCR are used to identify viral antigens and viral genome in field specimens easily . The virus is unstable and it is often impossible to try to separate it from clinical samples in the laboratory. Due to rapid turnaround time, RT-PCR has become increasingly popular as a means of identifying BRSV in clinical cases . In 2005, Li et al. showed an excellent optimization effect by adding gold nanoparticles with a diameter of 10 nm and a concentration of 0.4 nm to the PCR system. It is pointed out that the concentration of colloidal gold plays a crucial role in the specificity of PCR. When the concentration of colloidal gold is within the appropriate range (0.2–0.8 nm), the number of nonspecific bands is less and less. The target band is gradually enhanced, and a single bright target band can be obtained. However, when the gold nanoparticles were in excess, the phenomenon of inhibiting the amplification was shown . There are many methods to detect BRSV, including RT-PCR, fluorescence quantitative PCR, ELISA and immunofluorescence antibody detection [16, 17, 18, 19]. However, due to antibody reactions, these serological techniques do not distinguish between vaccines and natural infections of wild-type viruses. Besides, although conventional PCR has been used to identify BRSV infection , it is time-consuming and insensitive and is not suitable for detecting low viral load in clinical samples. Besides, although LAMP (Loop-mediated isothermal amplification) detects simple , it is very vulnerable to contamination. Fluorescent quantitative PCR is more accurate but requires sophisticated equipment and complicated procedures. There is a high false positive rate of ELISA detection methods, and the test of the immunofluorescence antibody takes a long time, and the operation is cumbersome. In recent years, in the field of molecular biology, NanoPCR has become a new type of PCR technique that is more sensitive than traditional PCR. It has been found that NanoPCR thermal cycling can achieve target temperatures faster because of the increased thermal conductivity of gold nanoparticles suspended in the reaction liquid. This faster process of reaching the target temperature helps to enhance reaction specificity and increase product amplification [15, 20]. The use of nanostructured PCR reaction is a new research direction. This study shows that our NanoPCR detection is an effective and time-saving BRSV detection method. It saves up to 7–10 min compared to conventional PCR. The sensitivity of the method is ten times higher than that of conventional PCR and this assay is specific to BRSV. Moreover, there is no cross-reactivity to other viruses. In summary, we have developed a convenient NanoPCR method for rapid, sensitive and specific detection of BRSV. This study we established an efficient, fast, specific, reproducible detection method of BRSV pathogen NanoPCR attributed to the combination of nano-particles in traditional PCR technology. The established BRSV Nano PCR assay can effectively solve the problem of the low titer of BRSV, low detection sensitivity and rate of clinical samples, it also has good specificity and ten times higher sensitivity than conventional PCR, clinical testing efficiency is equally much higher than RT-PCR. Preliminary application based on clinical sample testing. The developed method can be applied to the field of molecular detection of BRSV. It will play an active role in the detection of epidemic diseases, epidemic prevention, purification, and biosafety, to realize the rapid diagnosis of epidemic diseases. It also has essential meanings for both early detections of subclinical infection and disease control. The standard positive plasmids (BRSV, BVDV, IBRV, BPIV3) in this study have been described in the previous study . The thirty-nine clinical samples were obtained from different cattle farms in Jilin and Heilongjiang provinces. All samples from our laboratory were saved previously. The samples were taken from the feces and nasal swabs outside the body of the experimental animals, and the whole experiment did not cause harm to the animals. Extraction of viral RNA from 200 μL of pure BRSV culture or tissue samples using E.Z.N.A.™ Viral RNA Kit (OMEGA Inc., Dusseldorf, Germany) following the manufacturer’ instruction. BRSV, BVDV and BPIV3 RNA reverse transcription using reverse transcription kit (TransGen Biotech, AT311–03) following the manufacturer’ instruction. The extracts were aliquoted and stored at − 80 °C. The common BRSV N gene sequence (GenBank: S40504.1) was obtained by comparing the genomes of different BRSV isolates collected from publicly available sequence data. Primers were selected and designed from conserved N genes using PRIMER PREMIER 5.0 software (Molecular Biology Insights, Inc., Cascade, CO, USA) to produce 600 bp amplicon (Table 1). 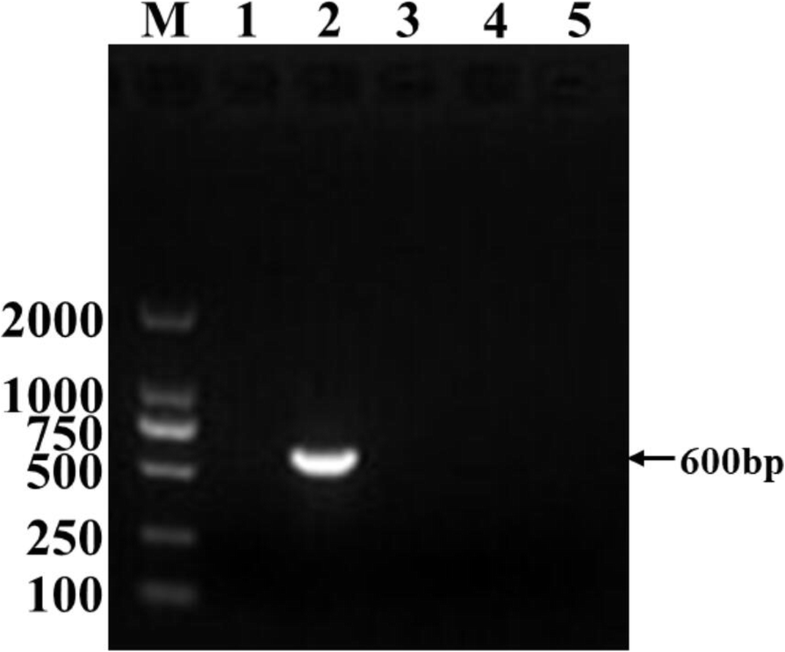 Routine PCR analysis of BRSV was performed using primer group to produce the PCR product with a predicted length of 600 bp. PCR was carried out in 25 μL reaction volume of 1 μL extracted DNA or 0.5 μL standard plasmid, 2.5 μL 10 × buffer, 2 μL dNTP, 1.5 μL Mg2+, 0.5 μL Taq DNA polymerase (TAKARA), and 0.5 μL of each of forward and reverse primer (10 μM) by following the manufacturer’s protocol with the following cycling times and temperatures: 94 °C for 5 min and 35 C cycles of 94 °C for 30 s, 57 °C for 15 s, and 72 °C for 30 s, with a final extension for 5 min at 72 °C. PCR was carried out in a Life Express Thermal Cycler (HANGZHOU BIOER TECHNOLOGY CO., LTD, China) and the products were analyzed by 1% agarose gel . BSRV NanoPCR optimized the annealing temperature, time, concentration and diameter of gold nanoparticles (SIGMA) with the same primer pairs as conventional PCR. The annealing temperature range of Life Express thermal cycler instrument ranges from 51 °C to 61 °C. The diameter of gold nanoparticles is 20 nm, 23 nm, and 40 nm, the volume range from 0.5 to 1.5 μL in increments of 0.2 μL by 20. Products were visualized on 1% agarose gels at a voltage of 180 V for 20 min. ImageJ 1.46r software (National Institutes of Health, Bethesda, MA, USA) was used for quantitative gel analysis of all bands. The NanoPCR reactions with different viral nucleic acids (including BRSV, BVDV, BPIV3, and IBRV) were performed using optimized reaction parameters to determine the specificity of the NanoPCR assay. The detection limit of the BRSV NanoPCR assay was compared to the detection limit of conventional PCR using a 10-fold dilution series of BRSV standard positive plasmids (ranging from 1.43 × 108 to 1.43 × 101 copies/μL), and ddH2O was used as a negative control. The PCR product was electrophoresed on a 1% agarose gel. The thirty-nine clinical samples included feces, and nasal swabs were collected from different cattle farms in Jilin and Heilongjiang provinces. All samples came from our laboratory saved previously. The NanoPCR and conventional PCR assays were performed simultaneously on the thirty-nine clinical samples. Part of the positive samples was sent to sequence by Comate Biosciences Co., Ltd.
National Key R&D Program of China, No.2016YFD0500900 supported the study. The funding body provided all the help in the design of the study and collection, analysis, and interpretation of data and in writing the manuscript. Data sharing does not apply to this article as no datasets were generated or analyzed during the current study. ZKL and JYL participated in the design of the study, carried out the experiments, analyzed the data and drafted the manuscript. ZYL participated in primers design. JWL and CW helped to process the clinical samples. ZJL and JKW contributed to carrying out PCR. JKW helped to modify the manuscript. LG designed, guided and participated in the experiments. All authors read and approved the final manuscript. We had obtained consent from farmers to collect the samples used in my study. We had obtained ethical approval to obtain the samples.